The Free From Eating Out Awards 2018 can we take another medal? The free from food Olympics – can we take another medal? There’s an extra buzz of excitement at Classic Cuisine HQ at the moment. We’re excited and proud to be shortlisted as finalists in the national Free From Eating Out Awards. The annual awards have been created to encourage innovation and excellence within the foodservice industry. Each year the very best of free from food and drink, venues and producers are celebrated and awarded for their work in the sector. The categories range from food service producers (like us) to five-star restaurants and cafes – it’s a broad spectrum. Expert judges go out and visit eateries, sample products and assess food labelling simplicity. But perhaps most importantly, they award those who provide people on restricted diets with exciting, innovative and delicious food. We saw triple success last year, taking a gold, silver and bronze medal for three of our popular products which we supply to our foodservice sector customers. You can view the full range of Made Without dishes here. 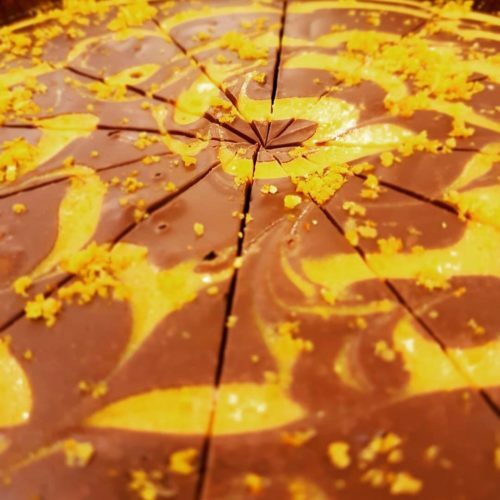 This year our Chocolate Orange Torte which is both vegan-friendly and dairy-free is competing for a top spot. It’s a decadent chocolate dessert with a simultaneously rich and refreshing flavour. The competition is strong (as it is every year), we’re crossing our fingers and remaining confident. Wish us luck and follow the social media pages for live updates on the awards day on 20th November 2018. The results are being announced live at the Food Matters event at Excel in London. We’d like to wish our fellow competitors the very best of luck too. See you there. The awards are run by the FoodsMatter team who have, for the last ten years, run the hugely successful FreeFrom Food Awards, the FreeFrom Skincare Awards and FoodsMatter, a massive allergy information resource site with over 1 million unique users a year. You can find out about the awards – here.